Wi-Fi is the most convenient way to get Internet on all your devices nowadays. Computers, laptops, mobile devices, game consoles, etc. - they all connect via Wi-Fi. This article will show you the steps to connect your PC to a Wi-Fi hotspot. Step 1: Make sure you have a Wi-Fi card installed on your PC and it’s on. 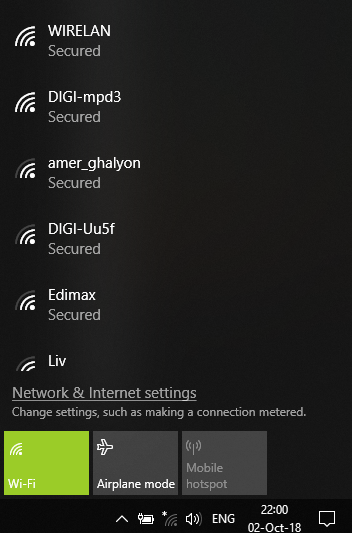 Go to Network Connections (Windows key + X - select Network Connections) and click on Wi-Fi on the left. If your computer doesn’t have an internal Wi-Fi card, get an external Wi-Fi USB adapter and plug it into a USB port of your PC. Windows will install the appropriate drivers or you may be required to install them - just see the documentation you get with the device. You may need to restart your PC before being able to use the external Wi-Fi USB adapter. Step 2:Connect to a Wi-Fi network. This can be your home Wi-Fi network, a work network, or even a public network. Click on the computer or Wi-Fi symbol in the lower right corner of the taskbar (systray). 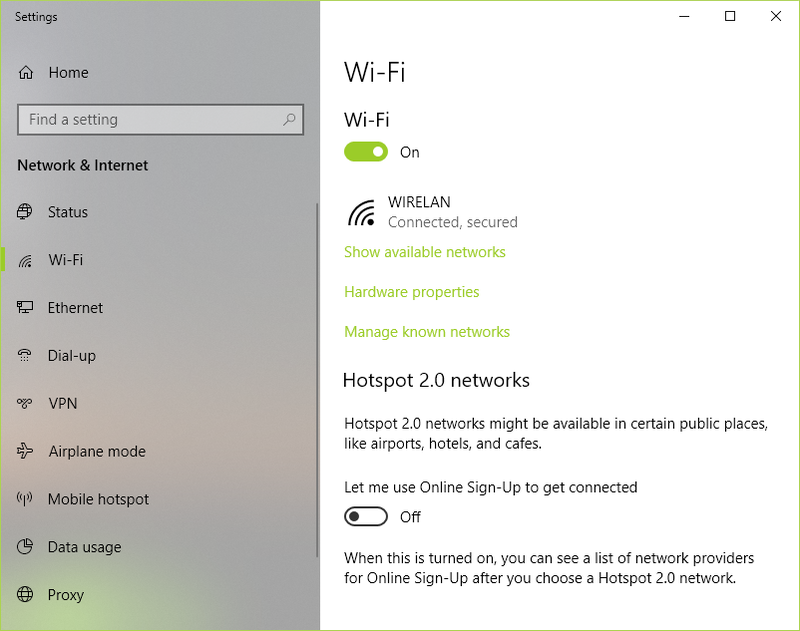 If you’re not already connected to a Wi-Fi hotspot, turn on Wi-Fi by clicking on the tile in the lower side of the pop-up menu and select your preferred network. Keep in mind, private networks may require you to enter a password before connecting.